The world's smallest continent & 6th largest country is also termed as The Lucky Country. The Golden Wattle being the floral emblem of Australia. The Aussies are also fond of flower gifting in a big way. Roses, Lilies, Carnations are the best-selling flowers there, but they also prefer to gift Golden Wattle as it denotes unity remembrance. Sending flowers is more popular in metros like Melbourne, Brisbane, Perth and Adelaide. Send flowers same day to Australia using our local florists & flower shops. Order by 12 noon. Send Easter Flower Arrangement, Easter Hampers & Gift Baskets to Australia. Send Roses, Carnations, Lilies throughout Australia for occasions like Birthdays, Anniversaries, Funerals, etc. Enjoy affordable flower delivery across Sydney, Melbourne, Brisbane, Perth & nationwide delivery. We at Flora2000 have transformed shopping online for beautiful floral arrangements into a fine and effortless art with our guaranteed on time flower delivery. If you want to send elegant and stylish floral arrangement to your friends and family then look no further. 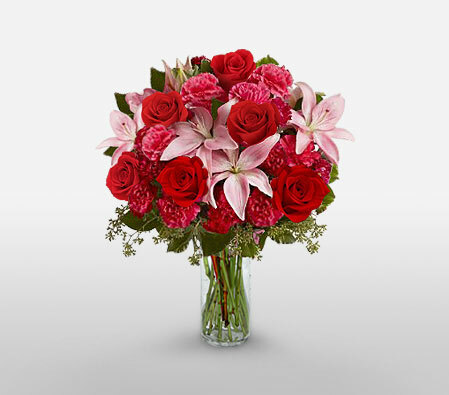 You can send flowers to Australia and surprise your loved ones with something exquisite. You can rely on us to get flowers delivered across Australia from Perth to Sydney or Brisbane to Melbourne and make special occasions even more delightful for those closest to you. How do i send International Flower Delivery to Australia? 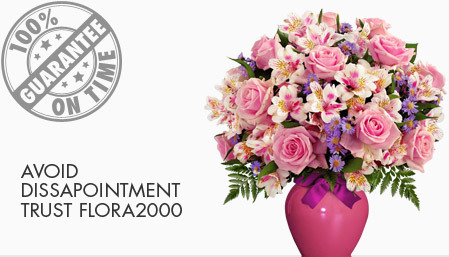 Flora2000 has transformed International flower delivery to Australia into a fine and effortless art. With our efficient flowers & gifs delivery services worldwide; you are sure to find the perfect expression of your message to your loved ones. Be it Roses, Lilies, Carnations or Cakes, our gifts are sure to make both the sender and the receiver happy. We make sure the gifts you give reflects what you feel about the receiver. It is the world's smallest continent and sixth-largest country by total area. It is also termed as lucky country. Australia is highly urbanised and heavily concentrated on the eastern seaboard. Golden Wattle is the floral emblem of Australia. Australians are also fond of gifting flowers like Roses, Lilies, Carnations etc but they also prefer to gift Golden Wattle as it denotes unity remembrance. Flower gifting is more popular in metros like Melbourne, Brisbane, Perth and Adelaide. We have an exclusive collection of flower arrangements, hampers & baskets for this Easter. Our classy collection of flowers & Gifts for Easter to Australia.